The Oostburg School District will join school districts throughout the state to salute their local education leaders during Wisconsin School Board Week Oct. 7-13. The commemorative week is designed to recognize the contributions made by Wisconsin’s school board members, including the Oostburg School Board, who are charged with governing public education under state law. Wisconsin school board members are chosen by their communities to manage local schools. They oversee multimillion dollar budgets which fund education programs for more than 867,000 students in more than 420 public schools districts. Their personnel decisions affect thousands of teachers, administrators and support workers. These volunteer leaders are responsible for formulating school district policy, approving curricula, maintaining school facilities and adhering to state and federal education law. Legal concerns and the complexities of school finance, including budgeting and taxation, can require them to spend many hours in personal study to enhance their understanding of these issues. Our deepest appreciation is extended to the dedicated men and women who make it possible for local citizens to participate in education in our community. We salute the public servants of the Oostburg School Board whose commitment and civic responsibility make local control of public schools in our community possible: Jim Swart, Dr. Eric Hartman, Wendy DenBoer, Terry Lemkuil, Deb Harmeling, Jack Stokdyk and Mari Kretz. Please join us by saying thanks to our school board members during Wisconsin School Board Week. During the month of August I am frequently asked, “Are you excited for school to start?” Moving into September the question shifts to, “Is the school year off to a good start?” My response is always the same, sharing that I love having our students back on campus. In fact, my excitement for the start of each year seems to grow as I get older. I went into teaching because I love being around kids, and I love learning. Serving in the Oostburg School District provides both of those opportunities, and for that I am thankful. I hope that our excitement for each new year is noticeable to students and their families as we work to fulfill our mission. That mission is to ensure all students learn at high levels so they can become positive contributors to society and the world. I welcome the opportunity to share more about our mission with community stakeholders. We have specific action steps and intentional efforts in place as we work toward achieving our goals. We strive to be a school that consistently achieves uncommon results and depend on strong relationships within our organization and across our community. My position is year-round, and although I enjoy the change in routine that comes with summer, I am always thankful as fall approaches. All professions have good days and days with challenges, but not all jobs allow you to walk into a kindergarten class and see a room full of energized 5-year-old children reminding us that all is well. In the summer this is just a job, but each fall when students and staff return, I am reminded of how blessed I am to have this opportunity. There are not many things which match the excitement of a new school year (not even a come-from-behind Packer’s win over the Da’ Bears). Thank you for entrusting us with your children. Thank you for allowing us to learn and grow with them. Enjoy this day and this school year! Hello, We hope families are safe in the aftermath of the significant weather last night. We would like to share that Sneak Peek is moving forward as scheduled with a few minor location adjustments. At this point we have full power at our middle school and will be serving food for the Brat & Burger Bash in the middle school cafeteria (rather than HS as in past years). We will also be moving elementary school pictures to the new ES cafeteria and middle school pictures to the MS gym. We are optimistic that power will be restored at OES and OHS by this afternoon. We do have generator power in both the MS and HS which will allow us to host sneak peek in the event our full power is not back. We recognize that some families may be dealing with challenges related to wind and water damage at their homes. Please do not feel pressure to attend if those priorities require your attention. Children who are not able to attend sneak peek will have an opportunity for pictures during our retake date. We encourage families to join us for a meal and hope that those of you who do not have power at home may be able to take advantage of the meal being served here. There will be extra food available for those who did not sign up originally. I hope each of you are enjoying your summer and looking forward to the beginning of our 2018-19 school year. I would like to update families and our community on several important changes which we believe will assist in making our schools safer for students, staff, and guests. School violence continues to impact communities across our nation, and we want to make sure our preparation is intentional and grounded in best practice. 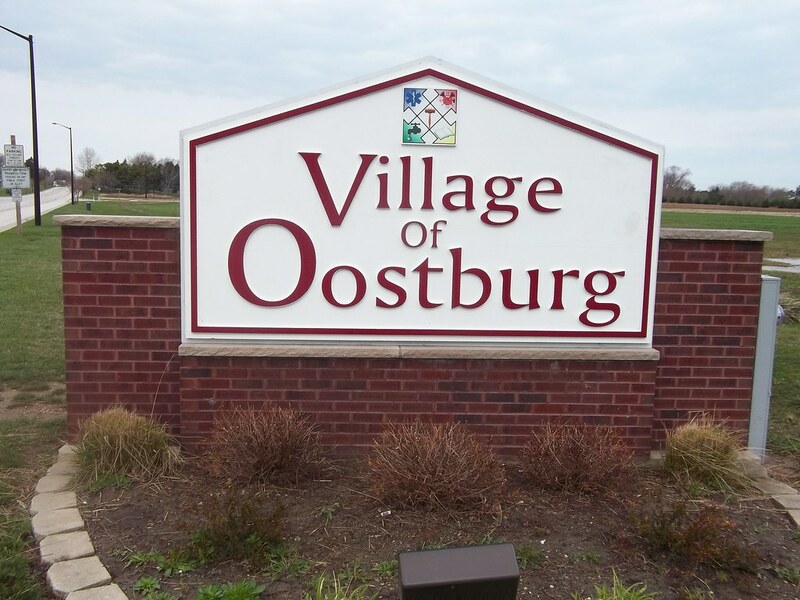 Oostburg School District applied for and received almost $60,000 in state grant funds. Those funds are being used to install corridor partitions at the high school which will isolate our academic wings from lunchroom and entryway areas. The partitions were a recommendation which came from an onsite safety evaluation and review conducted by The Sheboygan County Sheriff’s Department. The safety grant includes requirements related to locking and monitoring doors which will result in some changes for the upcoming school year. In the past, our school doors have been open before 6:00am for guest hallway walkers, fitness activities, and students who arrive early for extra help from teachers. We have also had some students arriving early without a specific reason. Beginning this fall, our doors will not be open until 25 minutes prior to the start of the school day and morning access will be limited. Each building will have a an individual monitoring the primary entrances (West main parking lot for OHS/OMS and West main parking lot at OES) during early morning hours. Our door monitors will provide access for specific reasons beginning at 6:00am at the West high school parking lot doors. Students who have arrived early in the past will not be allowed to enter without permission. We do want to continue access for community use but that access will be more closely monitored through the entrances listed above. Staff safety training is another area of focus for our district. In the past two years our teachers have received initial training in Civilian Response to Active Shooter Events (CRASE) through The Sheboygan County Sheriff’s Department. This fall, all staff members will participate in a large group review training and a more intensive scenario-based training. All training is coordinated and led by law enforcement officers from the Sheriff’s Department. In addition, we have met with our local fire department leaders to ensure that our school crisis response planning is a coordinated effort between all emergency personnel. We are extremely thankful that our Oostburg community has a large law enforcement presence, including many parents of our students who are involved in either law enforcement or some other type of emergency response. Many of those individuals have reached out in offering their support and guidance as we train and prepare for emergencies. Although we have had secure entrances at each building for several years, we have installed additional video and door security upgrades over the summer. Each entrance has video camera monitoring, and our high school and middle school now have upgrades which allow us to know when exterior doors are ajar. Our elementary school had this capability as part of the recently completed building project. You may also have noticed our school district’s job posting for a community resource officer. We are in the process of evaluating the opportunities provided through a position of this nature. This evaluation has included discussions with the Sheriff’s Department, Oostburg Christian School and village leaders, as we consider the viability of adding this role. Unfortunately, the state safety grant funds can’t be used for resource officers and restrictions around licensing and jurisdiction present some hurdles which we continue to navigate. We do believe a resource officer has the potential to bring significant benefit to our community and will continue pursuing avenues related to this role. In summary, we want stakeholders to know that student safety is a top priority, and our safety planning is intentional and research-based, including heavy collaboration with local law enforcement. We all share a hope that we are never required to utilize this training in response to a actual threat. This week is Teacher Appreciation week, and I would like to share how thankful I am for the interdependence we have between the staff in our three buildings as we work together to achieve our goals. I believe our students benefit from a staff that has a growing understanding of the unique differences and opportunities at each building level in our district. That level of understanding is not common in most districts where departments and certainly buildings operate in silos. My mom taught 5th grade for most of her career, so even though I was a high school biology teacher, I have always respected the work of teachers at younger levels. I saw how hard my mom worked, and I recognized we had the same type of staff across the grade levels in Oostburg, but until I actually experienced and learned from the OES staff during my time as elementary principal, I didn’t understand the challenges and opportunities which present themselves at different grades. Each position and role in our school is different and uniquely important to achieving our mission, and we are fortunate to have an invested and caring group of educators serving our kids. I would like to thank our teachers for their strong focus on working as a team, for their ability to listen and learn together, and for helping to support one another in achieving our mission of ensuring all students are learning at high levels so they can become positive contributors to society and the world. Now that I am approaching 30 years in this business I believe I have a context to make some comparisons, and I believe our staff has collectively never been stronger. We have been achieving some uncommon results and getting better in ways that are clearly measurable. Uncommon results require a lot of hard work, and as we enter Teacher Appreciation Week I would like to thank our staff for contributing to who we are as a district and the outcomes we are seeing. I invite parent and community members who read this post to reach out and join me in saying THANK YOU to our teachers.